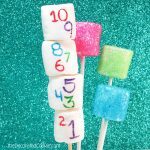 Make ball drop marshmallow pops for New Year’s Eve to celebrate the classic Times Square moment. 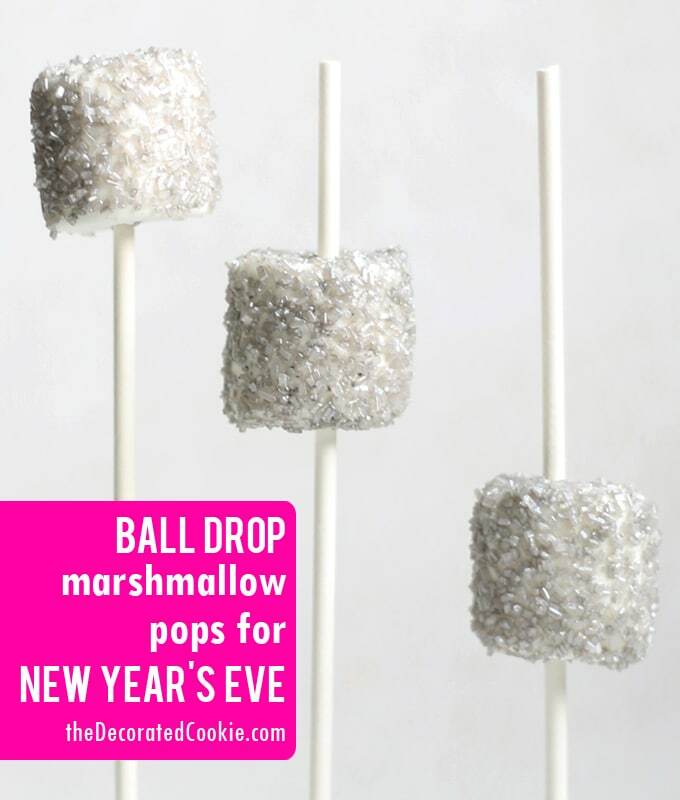 The classic New Year’s Eve event… now as marshmallow pops. 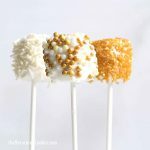 Because in my view everything can be made into a marshmallow pop. And every year my kids have no problem staying up to midnight to watch said ball drop, mostly because they are hyped up on sugar and playtime with our neighbors. Each year we celebrate with one of my favorite meals all year, thanks to my Danish neighbor who happens to be a great cook. Ham, glazed potatoes, creamed kale. I just lost my focus. Back to marshmallows. 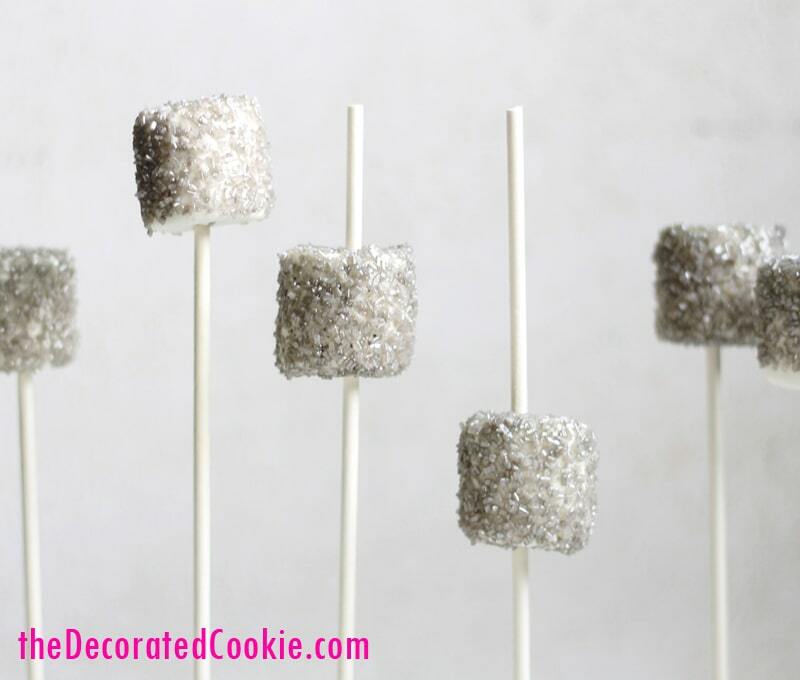 These take minutes to make and are the perfect sparkly complement to your New Year’s. Below I have the written how-tos, but here is a 30-second video telling you all you need to know. *Find the sprinkles and lollipop sticks at the craft store. Below I list affiliate links for the supplies I used. The CakeMate “shimmer silver” sprinkles should also be at the supermarket. 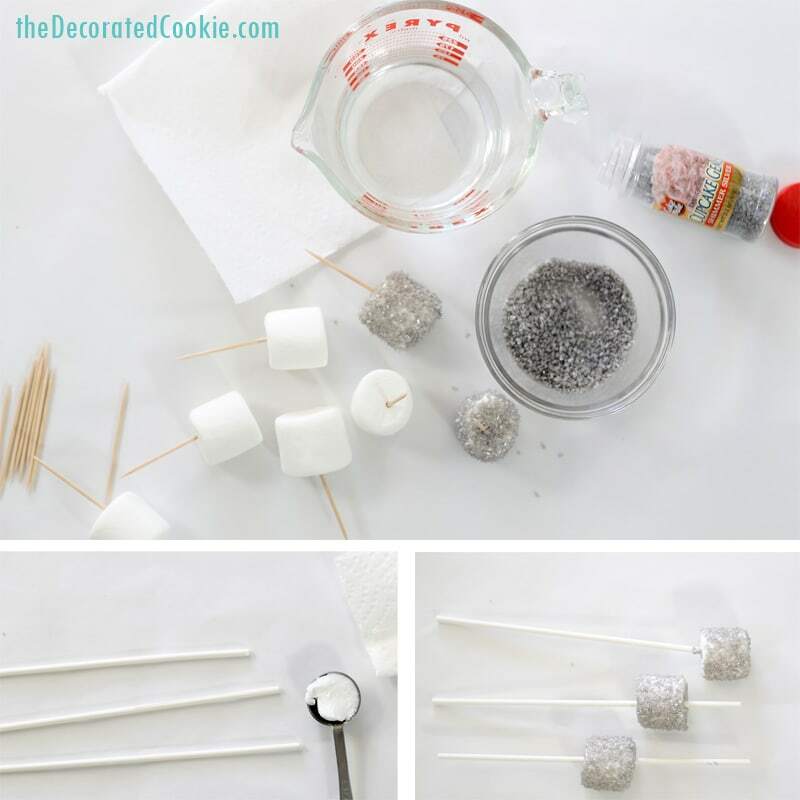 what to do: Skewer the marshmallows with toothpicks. Dip a marshmallow in water, dab on a paper towel and generously coat with silver sprinkles. Let dry. Dab vegetable shortening on a paper towel. Grease the top halves of the lollipop sticks (the ones with the ball at the top don’t need to be greased). 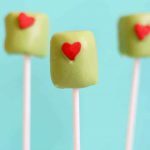 Slide the marshmallows off of the toothpicks and onto the sticks at different lengths. To display, prop in a Styrofoam block (also available at the craft store) that has been covered with tissue paper. 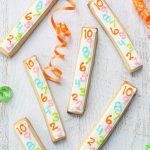 Linking to Kitchen Fun with My 3 Sons LINK PARTY!! Take a visit… great stuff over there. Note the sprinkles I used are available below as a pack of 3. That’s a lot of sprinkles. You may not need them all. This brand should also be at the supermarket. Thank you so much Rowaida! !